Ahiwo Ahiwo! Move quick on this one too. There are still copies around online, but these might not last long. The Estonian label Porridge Bullet have followed up the amazing Benga Benga with this glorious new release. Ahiwo Ahiwo is much in the same vein, but there’s still research to be done to find the originals and their origin. Watch this space. 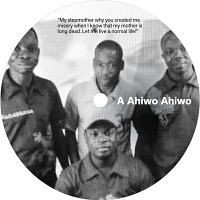 Benga Benga was a housed up edit of Samba Mapangala and Orchestre Virunga’s Yembele. The record was called a tribute to Pepe Kalle and D.O. Misiani, two of the kings of benga music. Benga is a fast-paced dance music believed to originate from Kenya. It is characterised by its fast-paced beat and finger-picking guitar technique. It can be associated with Congolese rumba and West African highlife in sound. Click here to read a fascinating and comprehensive article about the history of benga music by the meticulous Ketebul Music. A great job all round. Click here for Porridge Bullet’s shop.